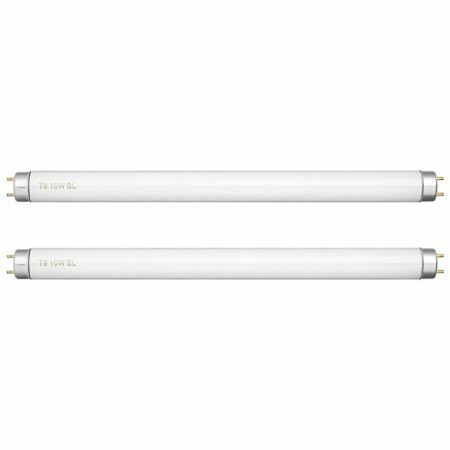 High-intensity 20 watts ultraviolet light technology helps kill all psky flying insects easily. This bug zapper electronic mosquito killer is an upgraded environmentally friendly product without any side effect. The indoor insect and mosquito eliminator is non-toxic, odorless and smogless. 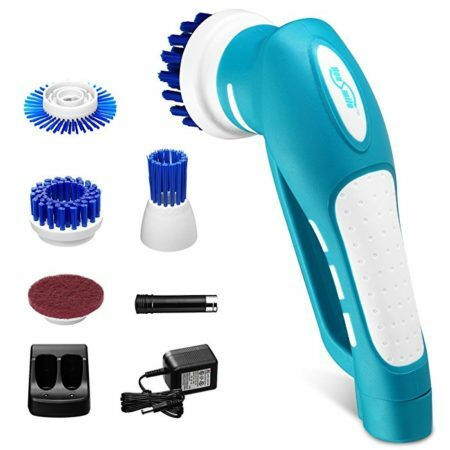 It uses a new type of odor free electronic ultra violet instead of pesticides or chemicals, to kill insects, bugs and mostly mosquitoes. 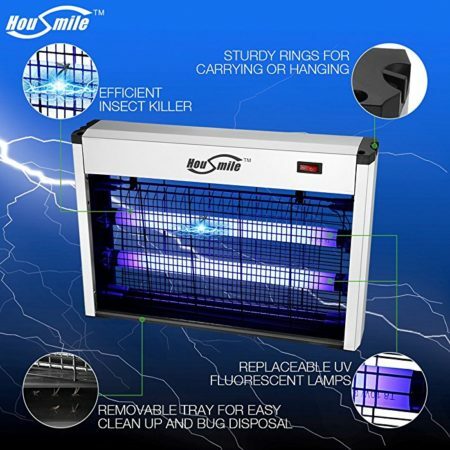 This bug zapper features high-intensity 20 watts ultraviolet bulbs that attract pesky flying insects into the device. The powerful high-voltage metal grid will kill insects instantly. Safe product: it has a wall mounting design to keep out-of-reach of children or pets. 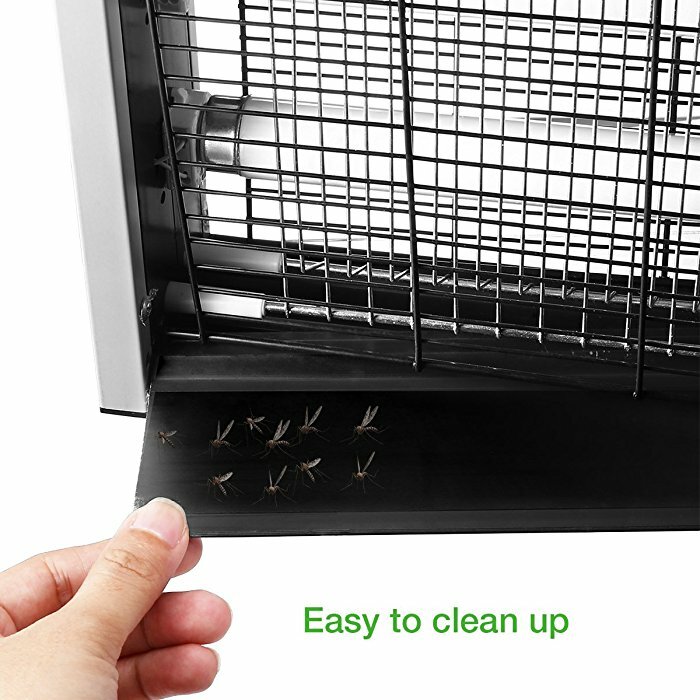 Dead insects are collected in the bottom tray which can be easily removed and cleaned. This bug zapper can be used indoors and outdoors with power rating 20 watts. 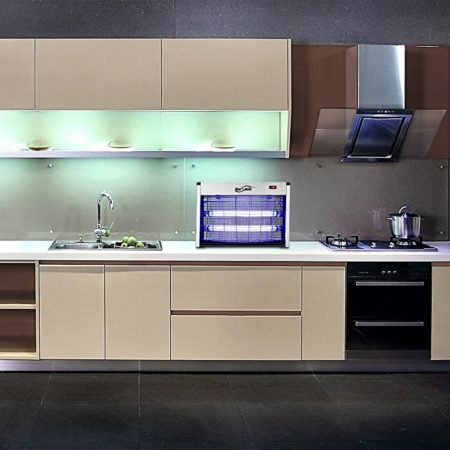 Perfect for home, office, kitchen, restaurants, school, hospital, yards etc. 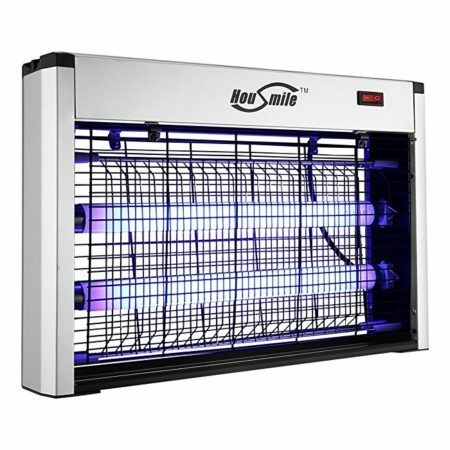 Housmile Powerful Electronic Indoor Bug Zapper : Based on high-intensity 20 watts ultraviolet light technology, this bug killer effectively attracts all psky flying insects and kills them. 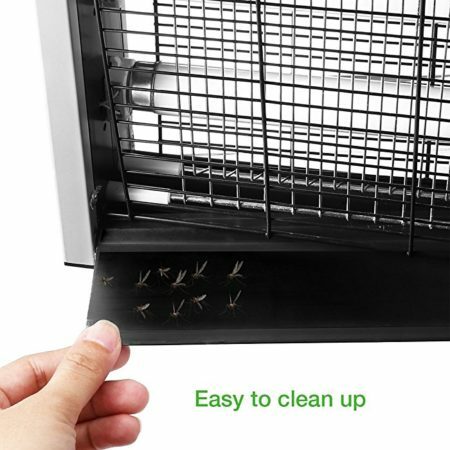 It’s an advanced and environmentally friendly device that helps get rid of annoying insects. 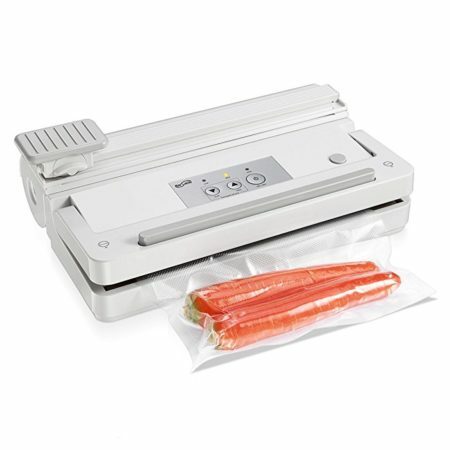 It has a removable tray at the bottom to collect dead bugs. To remove the dead bugs, please ensure the device is unplugged from an electrical outlet and wait about 15 to 20 minutes to let it cool down a little big. Then use a screwdriver to unscrew the base tray, take it out, empty the tray and clean it. It’s also very easy to screw the tray back. 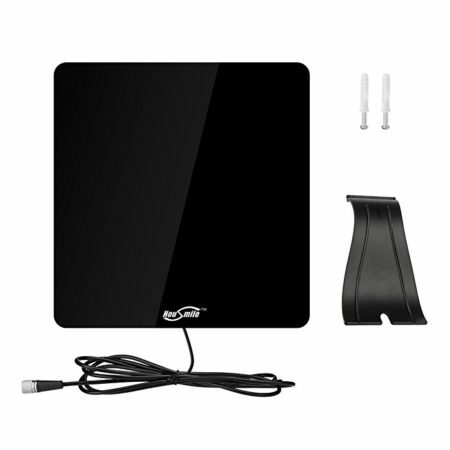 It’s designed with a plastic shield that protects users from touching the unit by accident. The blue light it gives out is harmless to human and pets. 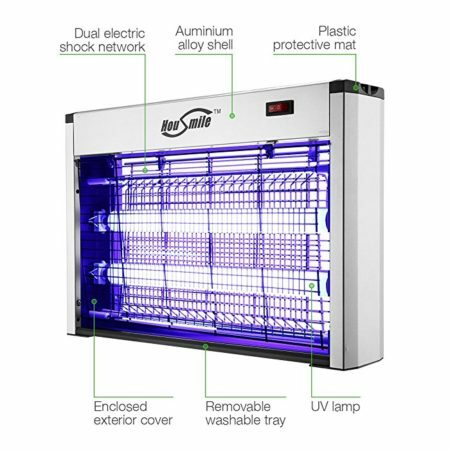 Thanks to reliable internal components, the bug zapper can operate continuously through the day and night. It largely saves your money buying some chemicals and pesticides that kill bugs. It uses new ultraviolet light technology to attract and eliminate bugs instead. In the long run, it’s a better choice to use this eco-friendly and economical product.